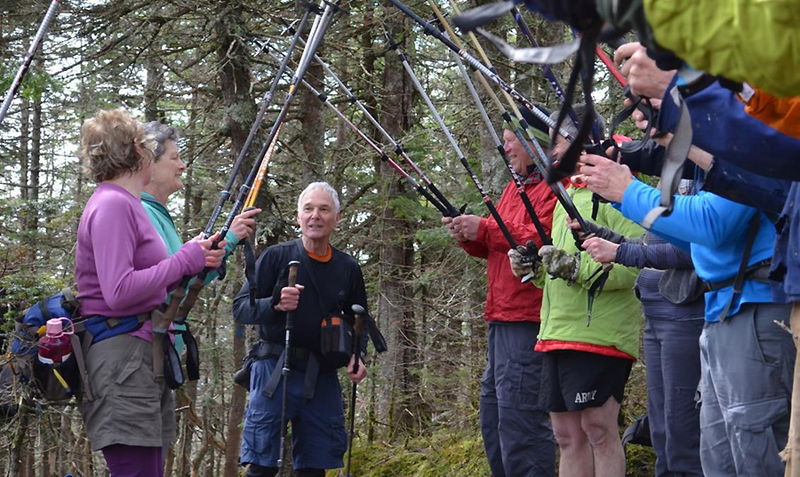 - Saturday morning I made my way south to Waterville Valley to hike with a big group of friendly hikers and a few trail dogs for Bill's second Grid finish. 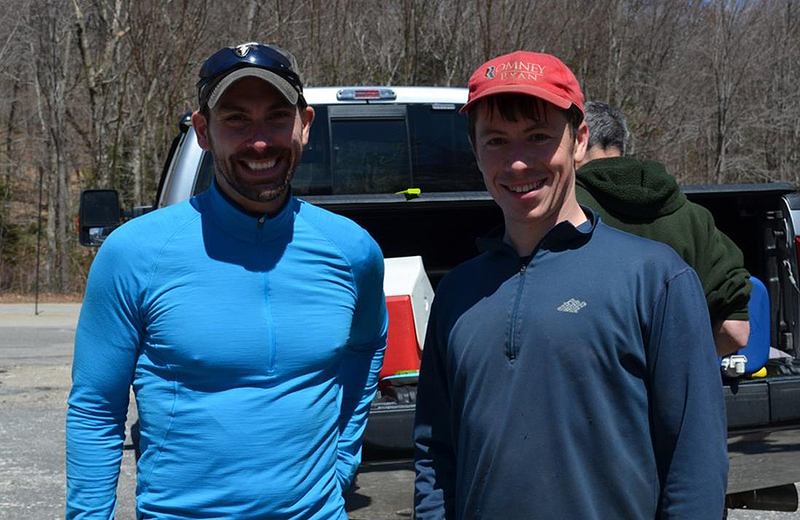 I had been invited to Grid finishes before but was unable to make them so I was really excited to be able to join in and finally put names to faces of hikers I have heard of and read about but have never had the chance to meet in person. There were around twenty Grid finishers in the group, and one dog who has gridded, too! - We started hiking around 9AM and everyone set out at their own pace and most ended up hiking in small groups spread out over the trail. 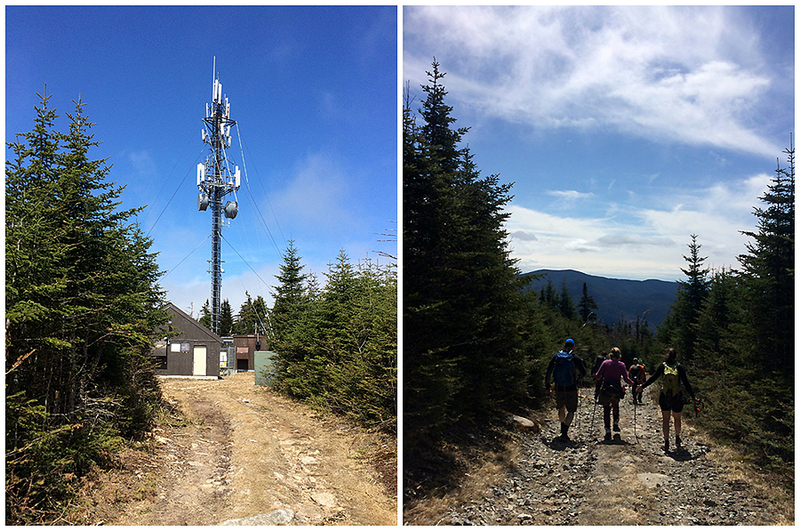 For the hike up I was with Ethan and Summerset (A.T. 2015 thru-hiker). Ethan and I talked about gear, long hikes, and trail running making the hike up go quickly. 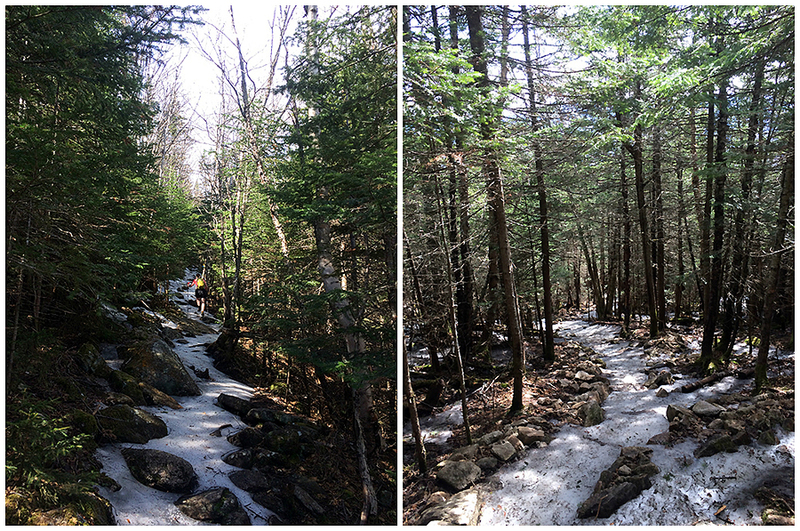 - The weather ending up turning out to be perfect, and the ice on the trail above 3,000 feet wasn't too bad, all that was needed was some light traction. When we reached the summit a big crowd gathered as we waited for Bill to arrive for his final steps to the summit. 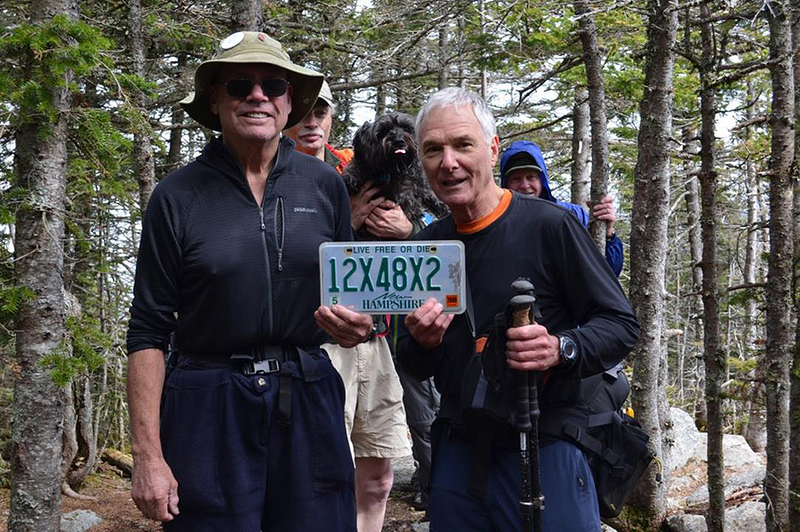 He was accompanied by his main squeeze, Diane (Lady Di), with Hiker Ed waiting for him at the finish with one of his old Grid license plates from his second finish (Ed had six Grid completions, that's a lot of hiking!!). 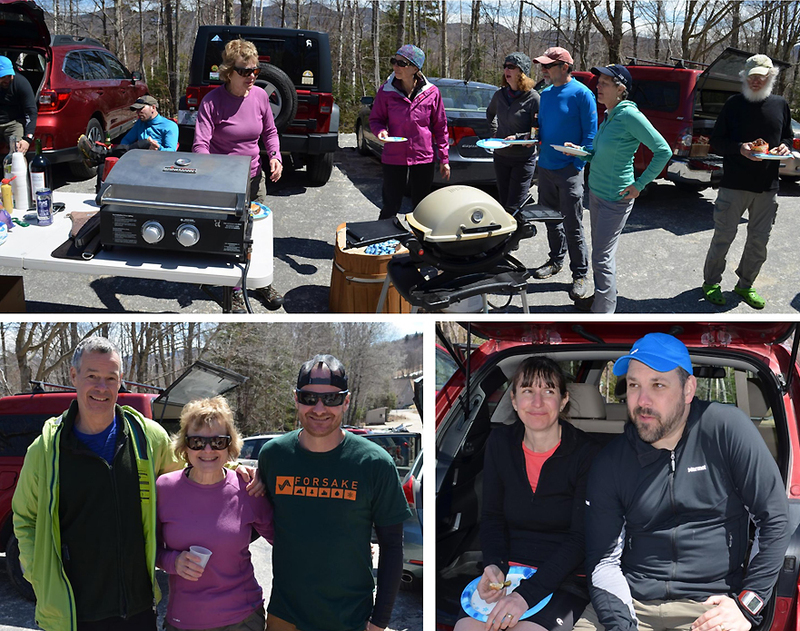 - We didn't linger too long on the summit as there was lots of food and drinks waiting back at the parking lot. 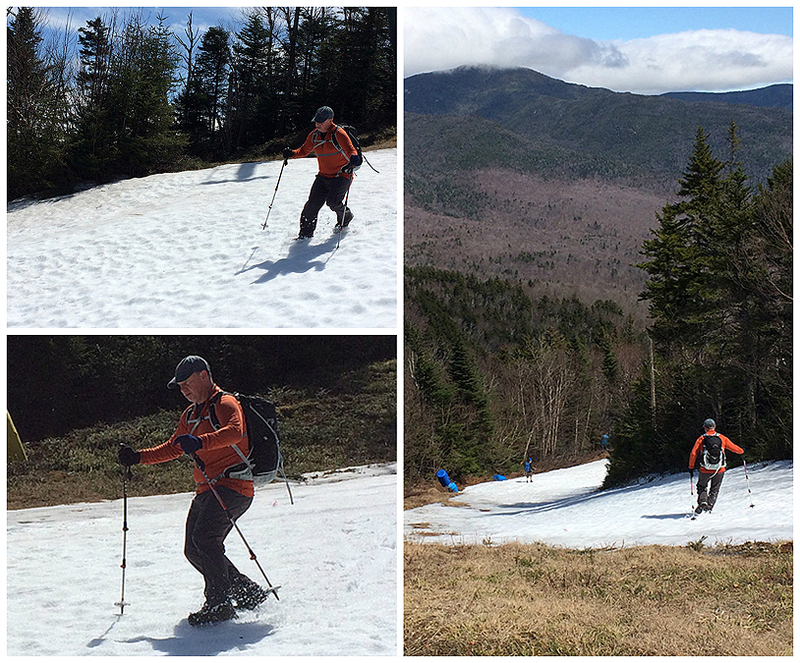 Most of the hikers headed down the ski slopes which was easier than the trail, no ice just patches of old snow. 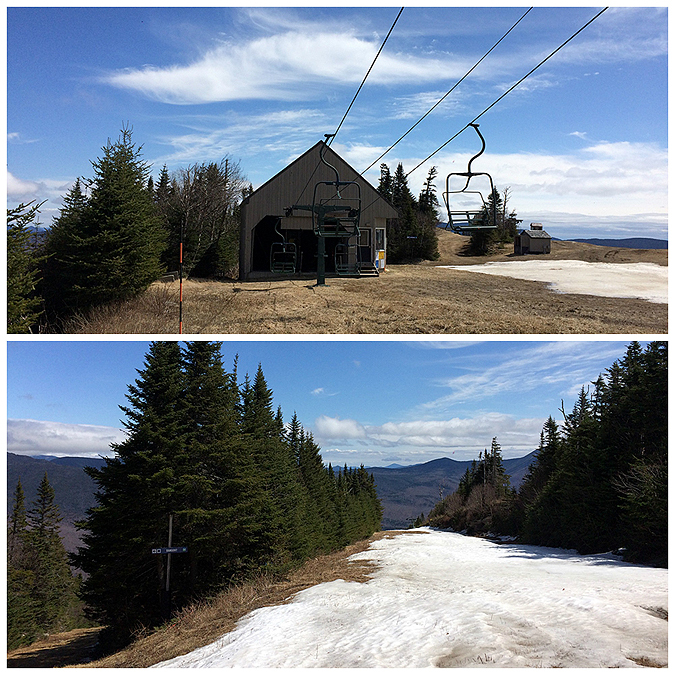 The sun was out and it was warm making for a very enjoyable descent back to the parking lot. - At the lot we set up a table with food, coolers with beer, and a couple of grills, where Bill grilled up a few dozen of his famous 'Grid Dogs'. Almost everyone hung around for a few hours eating, drinking, and having a good time. - It was a real nice way to spend a Saturday afternoon. Congrats to Bill on his second Grid completion, what an incredible accomplishment, can't wait to see what you do next! Taking the easy way down! Taking in the views as we hike back down. Steve making some final turns in the snow! Steve, AKA Little Brown Mushroom, has gridded the White Mountains and is about to Grid the Adirondacks too, that's pretty freaking awesome. I enjoy meeting hikers who hike in both ranges, the Whites and Daks' are different yet the same if that makes any sense. He and his hiking buddy Wayne have done some pretty incredible hikes over the years. Tim, Bill, and Diane. Tim gave a great speech and had some gifts for Bill and Diane. 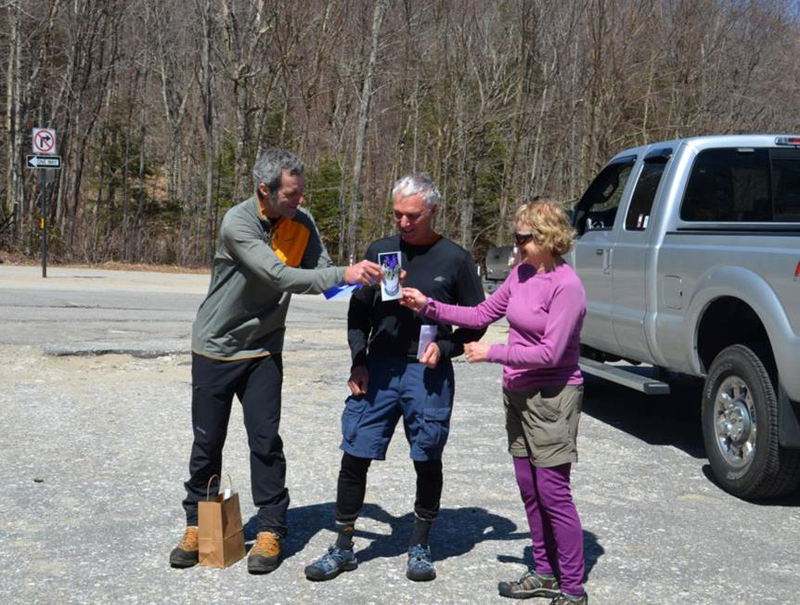 These three hikers have hiked just about everywhere in the White Mountains, you name it they have hiked it in every season and every condition. Group shot of about twenty previous Grid finishers. John and his dog Pepper where photo-shopped in. Pepper decided to do some hill repeats on the Mount Tecumseh Trail so John was out finding him while the pictures were taken. 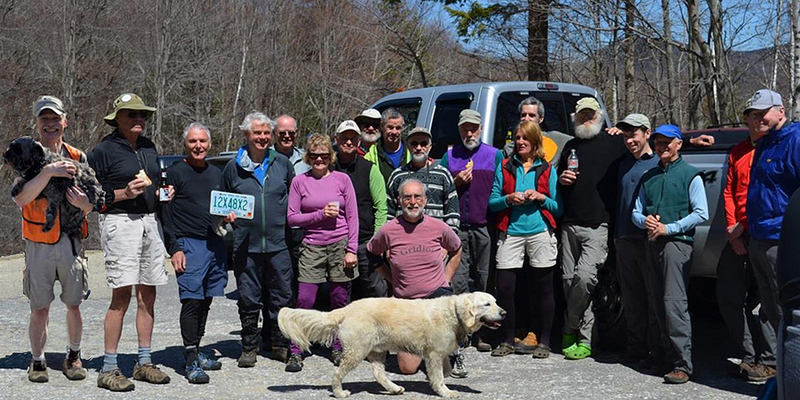 Keep your eye out for these hikers on the trails, they're all very knowledgeable and friendly, and you can get some really good advice from each and everyone. The whole group of hikers that came out for Bill's second grid finish.